So it looks like the big badass Shie is ready for action again, and based on what’s caught Rula‘s ear, it sounds like Kess needs plenty of help. And hey, did you want to see an uncensored version of this page? If you support the Draconia Chronicles Patreon, you totally can! A pledge of just $3 per page gets you sneak previews of upcoming pages as they come together, devoid of any inconveniently-placed falling petals. Thanks to all who’ve already to pledged their support, and thanks in advance to all new patrons! Ugh, the magic leaves strike again 😉 I gotta say you’re color scheme is amazing. its so… inviting. dammit razorfox. you really know how to keep a reader in suspense. lol. but man. im really eager to see what happens to kess. im sure kilani is gonna show up soon. man i can’t wait. good work razor. Such sisterly bonds can stand up to all the trials and tribulations of life! Including the dreaded… MAGICAL LEAVES! not that I disapprove…more like, find it hilarious. I love the middle panels. great sense of community and friendship through body language. Wow shies a tough one I hope she gets the red ram who did that to her . in but it is not doing it. Post the link! Just copy it from your browser’s address bar and paste it here. Well here it is I just link it hope you like it. Indeed Razor! “She ain’t heavy, Shie’s my sister!” LOL! They sure like to tease. 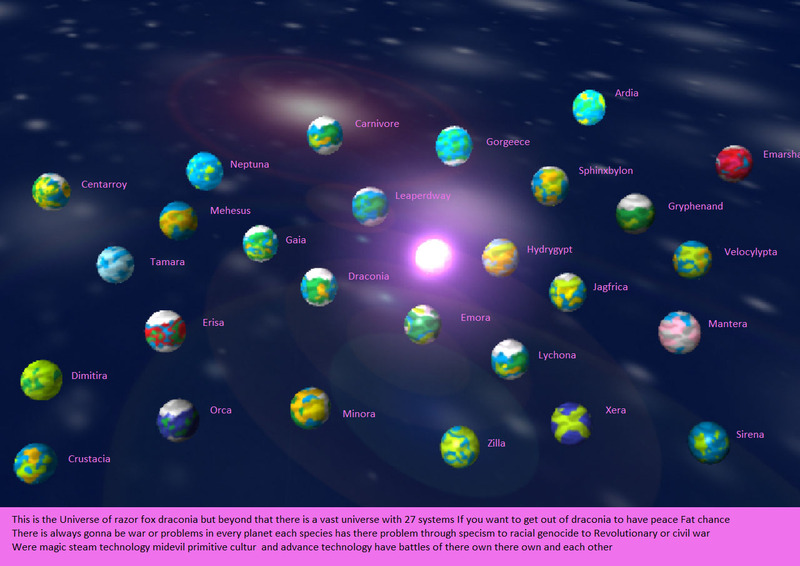 so which planet are you interested anyone.